Pregnancy discrimination is considered an ongoing threat to workers in California and nationwide. Though the EEOC has recently issued new guidelines to minimize discrimination in the workplace, additional legal action is often necessary to hold illegally acting companies responsible. A San Diego jury has also spoken out, awarding $186 million to a store manager who was fired after she was told that pregnant women can’t do the job. The manager’s employment was also terminated after she gave birth to her child. According to Reuters, the 43-year-old plaintiff will be awarded $873,000 in compensatory damages and $185 million in punitive damages. The groundbreaking verdict is considered the largest verdict ever awarded to an individual in an employment law case. The manager at AutoZone was hired in 2000 as a customer representative and promoted in 2001 as parts sales manager, and in 2004 promoted to store manager. She became pregnant in 2005. After she told her employer that she was pregnant, it was suggested that she give up her management duties. She was then demoted to a parts sales manager in 2006 and suffered a pay cut. The new position required her to work long hours, repeat work duties for no reason, and endure abuse from her boss. After filing a lawsuit with the state, she was fired from her position at AutoZone. In addition to pregnancy discrimination, the lawsuit also alleged wrongful termination, gender discrimination, and retaliation. A former district manager testified that the vice president of AutoZone scolded him for hiring too many women. At trial the district manager testified that the vice president asked him, “What are we running a boutique here?” He then proceeded to demand the manger to, “Get rid of those women.” According to court records, the plaintiff was told to quit, demoted, and then fired after being told that a pregnant woman wasn’t capable of managing the store. The jury ruled that the harassment was “severe and pervasive” and unanimously decided that she suffered illegal discrimination and harassment. A six-person jury awarded the damages after a two-week trial. Attorneys representing the plaintiffs were able to report that they successfully prove that AutoZone engaged in egregious acts of discrimination against the plaintiff. While representatives of the auto parts retailer did not immediate issue a statement, they did indicate their plans to appeal the verdict. The case is an example of the potential damages available to victims of pregnancy discrimination, as well as the need to take action against illegally acting employers. 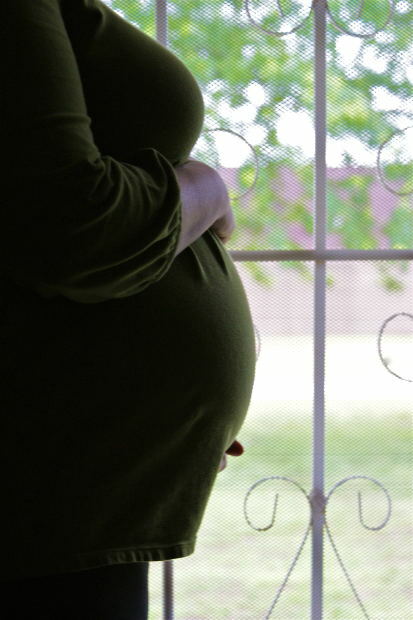 Pregnancy discrimination cases are on the rise throughout California and nationwide. Women may suffer discrimination in various forms including failure to hire, demotion, reduced pay or hours, as well as termination. If you have suffered adverse employment action as a result of your pregnancy, our Orange County pregnancy discrimination attorneys can help. We are dedicated to advocating for the rights of workers and will effectively help you protect your rights and maximize compensation in any discrimination case.